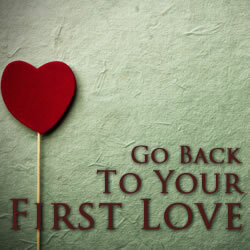 benheliles.com - Official website/blog of Benjamin H. Liles: Have We Forgotten Our First Love? How? They allow certain things to go on that shouldn't be even allowed. I'll explain below. Number One: When someone gives their whole heart to Jesus, a disciple should help that new believer along. Why? So that they know how to truly live for Christ. But do Churches today do this? No. They give them a Bible, a prayer, and wish you the best. I got discipled the wrong way. But I thank God that He has shown me a lot through the years to help me disciple my husband, when he became a believer in 2009. I am thankful for what God shows Him daily. Number Two: Pastors and Ministers witness to people the wrong way. We are supposed to be led by the Holy Spirit, and to always be in prayer. People will go up to someone they don't even know without the Holy Spirits lead, or praying to God on the issue. It is no wonder when things turn out bad for those who put their flesh first before God's Spirit. Always pray and seek the Holy Spirit's prompting. Number Three: Most Churches say you must be baptized before you can join their congregation. They say this is what "saves you". WRONG! Jesus Christ is who saves us and delivers us from Hell. Baptism is showing others publicly that you are now a new creation in Jesus. Did the thief on the cross get baptized in water? No, of course not. Jesus forgave him at the cross! Number Four: People feel that if they go to Church, that they have been forgiven, and they can go back to doing the things God says NOT to do. Goodness or Good Works will NOT get you into heaven, the blood of Christ is what gets you there. Repentance (turn away from sins) and Forgiveness is on a daily basis, not Sundays! Number Five: What God has said in His Word, He means! He is the same yesterday, today, and forever, He never changes! Recently my husband went to check out a Church for us, what he saw there was appalling. A lesbian couple making out when a Pastor was preaching a sermon. The Pastor there didn't call them out on it, he allowed it to continue. This goes against what God has said in His Word. As believers in Christ, we are to pray and ask for God's Spirit to witness to those who do not know the Lord. BUT it is a WHOLE different ball game when people go to a Church under Satan's spirit, to provoke God to anger. The Pastor of that Church should have stopped His sermon and rebuked the 2 women and asked them to leave. It is one thing to come to Church to get to know the Lord, it is another when you want to thumb your nose at God Almighty saying it is okay to continue to live in your sins. God has said it multiple times in His Word, that homosexuals will not go to heaven. Many think in this world today, that they can be "Gay" and be a Christian. This is a delusion. Satan has blinded their eyes to the truth. Number Six: Most people gossip, tale carry, get into each other's business. Even at Church, the back biting continues. They think it is their God given right to do so. But the Bible says differently. We are to mind our own business, and lead a quiet life. Don't associate with such people. Instead, pray for them and ask God to deliver them. Number Seven: Churches have forgotten their first love, Jesus. We are required to love others as Christ has loved us and given His life for us. When did money become more important? Shouldn't our focus be on what God has taught us in His Word? This is not what Jesus called us out of darkness for. We are called to be a LIGHT in the darkness, not build more buildings! The world is hurting, we need to show the LOVE of JESUS! Finally, the falling away has begun. You will see more and more "Christians" renounce their faith in Jesus, and turn to Satan himself. In fact, more and more people embrace Satan today, than ever before. By TV and RADIO, musicians and actors/actresses are more blatant than ever before in their satanic faith. They pledge their allegiance to him and mock God every chance they get. They even want people to follow them. And sadly, many will. The Bible says this would happen, and that it will only get worse. From the time I was saved in 2002, until only recently, I believed in the pre-trib Rapture. After much study through the Scriptures, my husband and I found that there is no evidence for it. Christians and unbelievers alike will go through the Tribulation. However, is the CHURCH ready for it? Absolutely not. Both my husband and I agree, we aren't ready either. I mean, who on this earth actually is? Now is the time to pray. Pray for the many souls out there that don't know the truth. Pray for the souls who refuse to repent. Pray for those who Satan uses like a puppet to do his bidding, and that one day, they shall see the light and love of JESUS. Always Pray.